Southern California may be known for its beaches but any local, and perhaps visitor, will tell you those beaches quickly become unappealing when you consider the crowds, traffic and lack of parking you have to endure to secure a spot in the sun. Thankfully, the Angeles National Forest provides a welcome alternative. For people who prefer trees over sand, it’s a more desirable destination filled with natural beauty that’s reminiscent of an Alpine mountainside. It’s the perfect place to escape the traffic, smog, and congestion of the city. We know you work hard all week. There’s no reason you should have to work just as hard fighting the crowds and searching for parking at the mall. Enjoy a round of disc golf this summer at Mountain High’s North Resort. Spend the weekend camping at the Blue Ridge or Table Mountain campsites. Hike the PCT, ride your mountain bike on the many forest service trails, or spend the weekend camping at the Blue Ridge and Table Mountain campsites. The best part is that you don’t have to go far to do it. Mountain High is located in the San Gabriel Mountains just 90-minutes from Los Angeles and Orange County. Paying it a visit doesn’t have to become a big production. Unlike the drive to Big Bear, the resort is just 20 minutes off the freeway with no winding roads or hair raising cliffs. Of course, staying the weekend is easy as well. There are plenty of charming cabin rentals in the nearby city of Wrightwood. 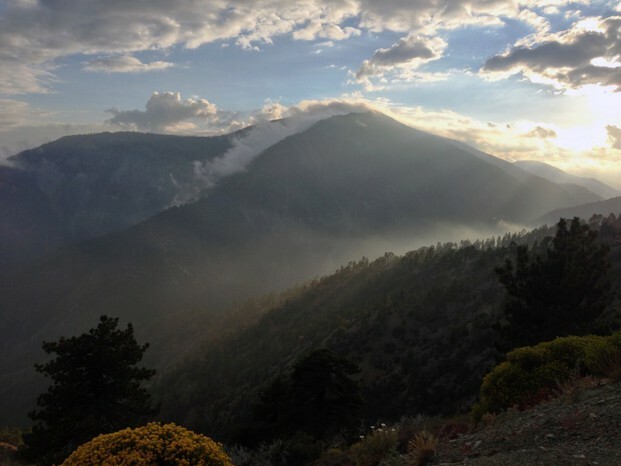 With an elevation of 6,000 feet, crisp, mountain air, and majestic pine trees as far as the eye can see, Wrightwood offers the perfect backdrop for city slickers sick of the urban landscape. Next time you find yourself with a day off and wanting a little adventure this summer, head to Mountain High. It’s easy to get to, full of natural beauty, and a great way to greet the outdoors.